Beyond their commitment to individual growth and leadership, Masons are deeply involved in their communities. Through all forms of charitable giving and community service, Masons feel it is their obligation to contribute to the care and well-being of their fellow man. 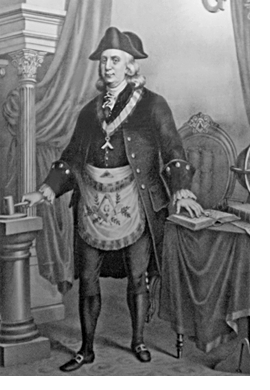 The Masonic fraternity contributes over $1 Billion each year to its philanthropic pursuits. Over $750 Million of that in the United States alone. Maryland Masons continue this tradition by serving their communities with local scholarship programs, student assistance, volunteerism, educational support and other charitable activities. Masonic Organizations worldwide sponsor a variety of children’s charities. Shrine Masons provide special medical services in their Children’s Hospitals, while the Tall Cedars contribute to Muscular Dystrophy research. The Maryland Child Identification Program is a comprehensive identification and protection program designed to give families a measure of protection against the ever increasing problem of missing children. This program is provided “free of charge” to every Maryland family who wishes to participate. Maryland Masonic Homes is an established Continuing Care Retirement Community for Master Masons and their families.Scholarship Program – details coming soon. Student Assistance – details coming soon. Library & Museum – details coming soon.